Montanaro's Selezione Brandy contains the so-called Historic Harvests: Brandies from another age, forgotten for over thirty years in an old disused distillery in the Val di Susa, distilled from local wines with low alcohol and high acidity content. Full of character, downright and genuine, their amber colouring and their age testifies to the slow handing down of tradition. 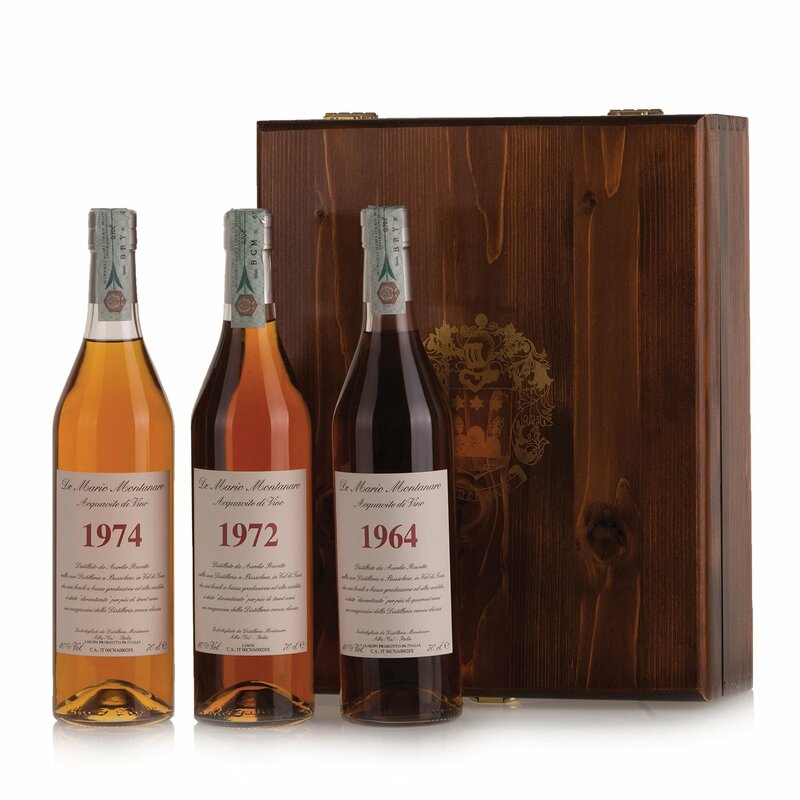 Distilled in 1964, 1972, 1974. The Montanaro distillery has roots that go a long way back in the history of the great grappas. The company that Mario Montanaro took over in 1922, for instance, was the distillery where in 1885 the first single grape variety grappa in history had been invented: Barolo grappa. Ever since, the Montanaro family has continued to perfect the distillery's procedures, creating a kind of 'virtuous ecosystem' whose products express all the traditional excellence of the Langhe.